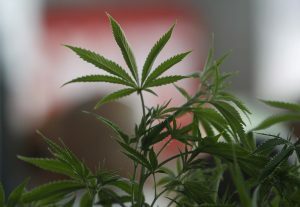 LOS ANGELES — The arrival of the new year in California brings with it broad legalization of marijuana. So-called recreational pot is now legal for adults 21 and older. Individuals can grow up to six plants and possess as much as an ounce. Finding a retail outlet to buy non-medical pot in California won’t be easy, at least initially. Only about 90 businesses received state licenses to open on New Year’s Day. They are concentrated in San Diego, Santa Cruz, the San Francisco Bay Area and the Palm Springs area. Los Angeles and San Francisco are among the many cities where recreational pot won’t be available right away. Other places, including Fresno, Bakersfield and Kern County, outlawed recreational marijuana sales.